The fabulous SoMar Lofts in downtown Atlanta sit just a couple blocks from the busy Five Points Marta station, and countless other amenities and attractions in town like the famous Georgia Aquarium, the Georgia Dome, and Centennial Olympic Park. If you’re somebody who’s truly looking for an authentic and desirable big city living experience, it’s hard to top what the SoMar Lofts have to offer. Inside, condos for sale at SoMar Lofts feature spacious open concept floor plans, huge floor to ceiling windows, exposed duct work and brick walls, and plenty of updated kitchen and bathroom features as well. Each loft residence at the SoMar Lofts also includes a private balcony, which provides some pretty sweet views of the surrounding cityscape. But with only 16 units available at SoMar Lofts in Atlanta, options and opportunities may be limited. 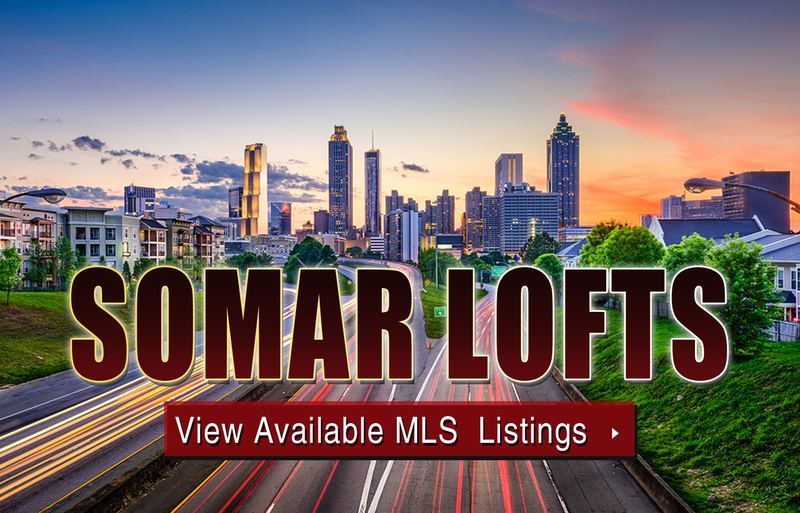 For more information about SoMar Lofts for sale in downtown Atlanta, call The Zac Team today at (404) 564-7272, or click on the link below to start viewing active listings on the MLS. Listed below are recently closed sales at SoMar Lofts. Whether you’re thinking about buying or selling a condo at SoMar Lofts, checking to see what other comparable properties have sold for in recent weeks and months provides helpful insight into current market conditions within the community. For more information about SoMar Lofts for sale or for a complete list of recent homes sold in the neighborhood, contact The Zac Team today! Can’t find what you’re looking for in Atlanta’s Briar Hills? Start browsing other Atlanta real estate for sale or give the Zac Team a call at (404) 564-7272 for help with your new home or condo search today!